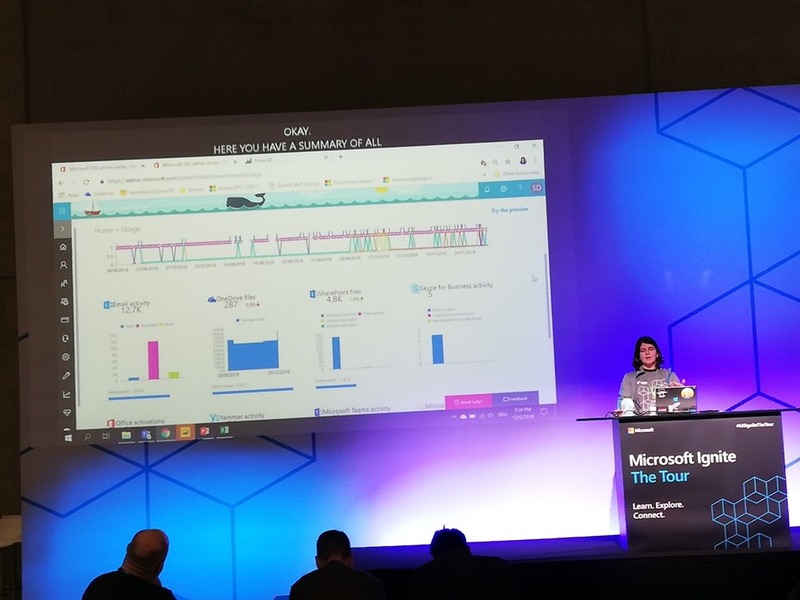 I’d like to share with you that last week Microsoft held the first edition of Ignite The Tour in Berlin on 6 and 7 of December. 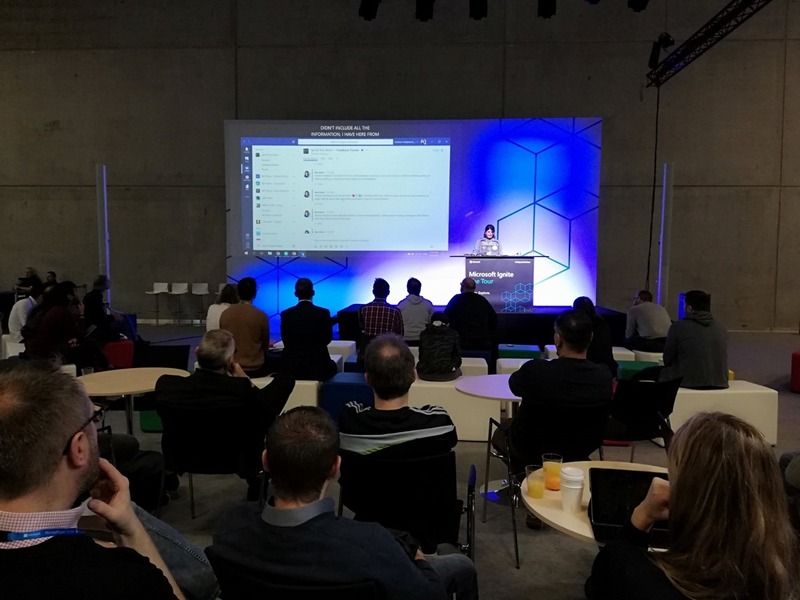 The conference happened at Berlin Messe, and we had around 2.000 attendees in the both days. 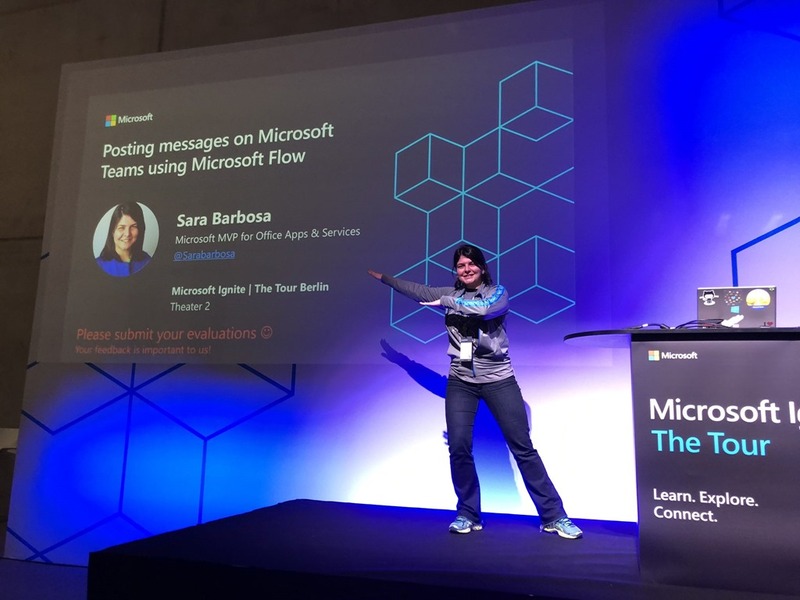 We had a nice organization, many opportunities to make networking with German companies, local Communities and Microsoft employees, and in my case I met the MS Flow Product Manager, MVP Lead of Germany, MS Teams Product Manager and Fasttrack Product Manager. Of course I saw my colleagues MVPs: Mr. OneDrive Hans Brender and Raphael Köllner. I had a honor of delivering 3 sessions (2 Theaters and 1 breakout), wow, it was an amazing experience to talk for more than 300 attendees and also a big challenge to deliver sessions of 15 minutes. Were you in my session? Please send me feedback if you have enjoyed and what else do you want to learn in the future? My personal recommendations is if you are planning to attend the tour, check all the upcoming cities here. To finish, I want to say thank to all attendees that were in my session, Anna Chu and Microsoft in general for the opportunity and say a big thank you to Marcos S2, my colleagues in Berlin that have attended my sessions: Arturo Polanco, Sebastian Schütze, Sebastian Goers and special to Andreas Rohr that was in all of the sessions <3.